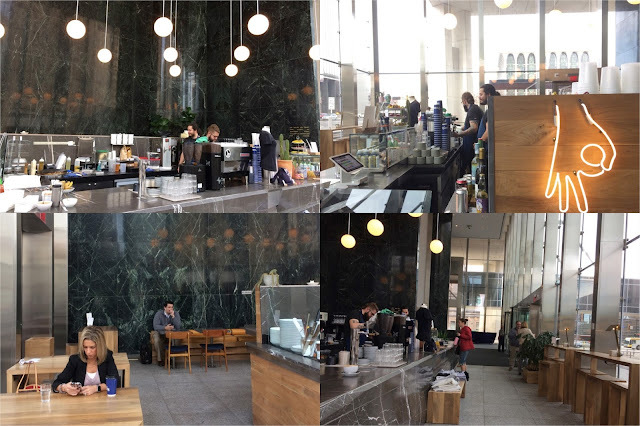 I've had a few 24-hour long business trips to Minneapolis recently and had a chance to visit a couple cafes in the area...only three actually. But what I lack in quantity, I make up for in quality...and that quality is Penny's. Penny's has to be one of my favorite cafes in the world, and for that reason, I'm putting is right at the to of the list. I went to Penny's three times in 24 hours and have no regrets. 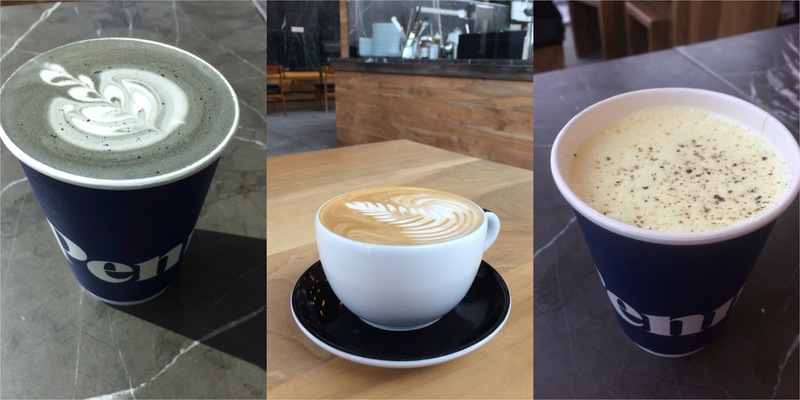 I had a chance to try a few of their signature drinks, like the Charcoal latte (left), Lavendar latte (middle), and Golden latte which has Turmeric (right). One of the most popular restaurants in Minneapolis is also a pretty darn good cafe. 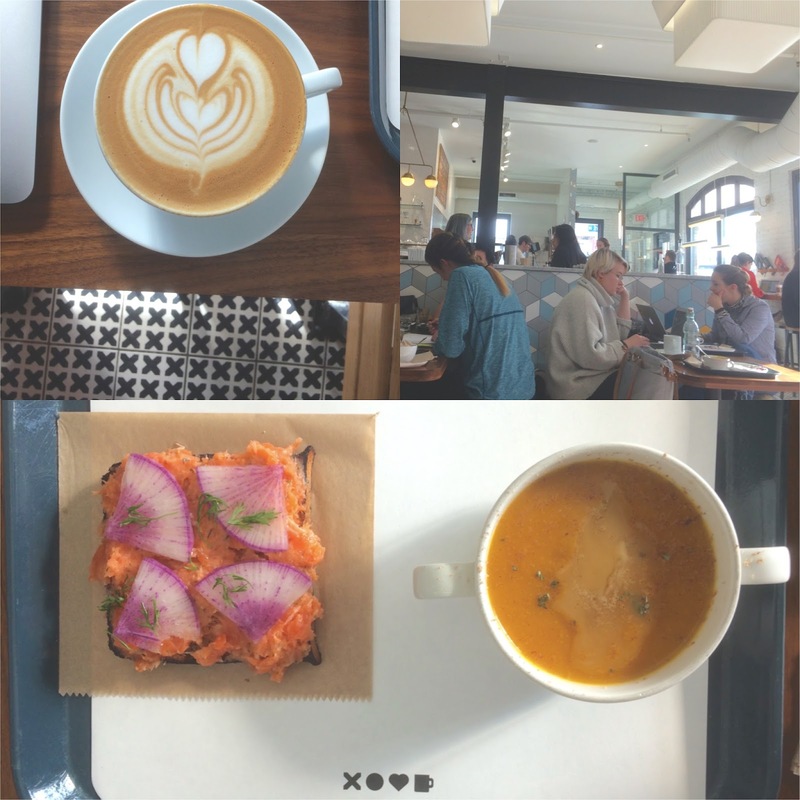 I got to order a lunch and work from the cafe for a good hour. 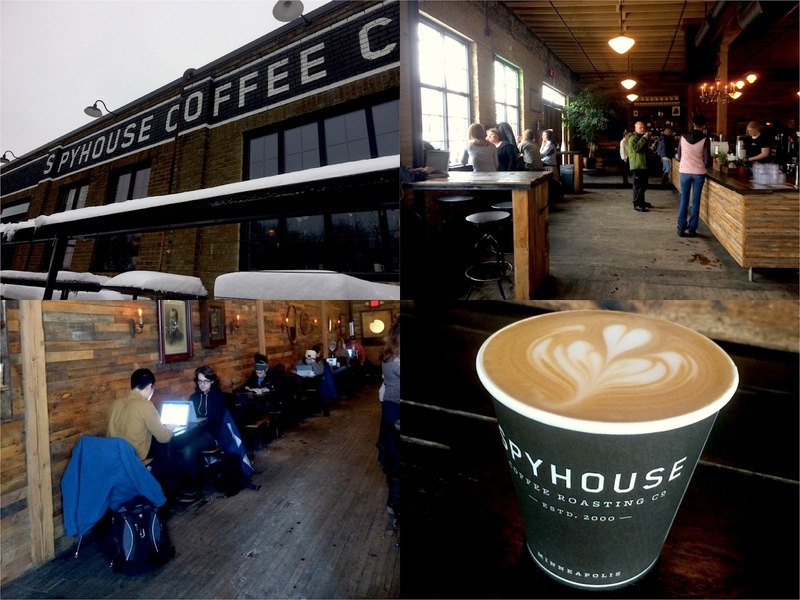 Spyhouse is another widely popular cafe with specious seating and a very hi warehouse vibe. I ordered a regular latte and was pleased with the quality.